Examining the correlation between humans and other primates, the School of Integrated Science and Humanity (SISH) will launch its Cognitive Neuroscience lecture series Nov. 3. Asif A. Ghanzanfar, associate professor of neuroscience and psychology at Princeton University, will discuss his research on the emergence and evolution of speech through rhythms at 3:30 p.m. in room 120 of the Ryder Business Building. The event is free and open to the public. “The FIU Cognitive Neuroscience Initiative is taking a comprehensive approach to understanding and treating disorders such as autism, stroke and Alzheimer’s disease, developing technologies to aid people with disabilities, and addressing broader issues related to the mind and brain,” said Suzanna Rose, executive director and associate dean of SISH. Ghazanfar’s research focuses on the integrative biology of primate communication. 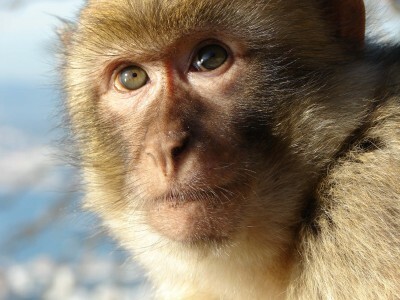 Using a comparative approach, Ghazanfar’s studies three primate species: macaque monkeys, marmosets and humans. The lecture is cosponsored by the Herbert Wertheim College of Medicine, as well as the departments of Biological Sciences, Biomedical Engineering, Philosophy, Physics and Psychology.